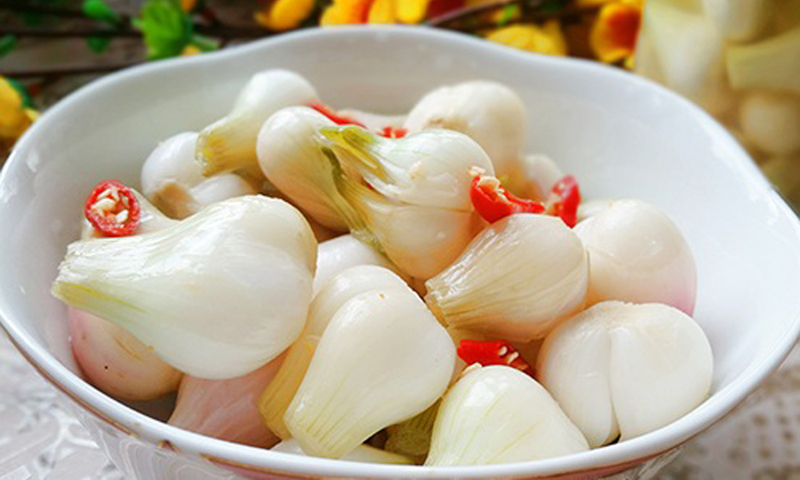 Vietnamese pickled onions. 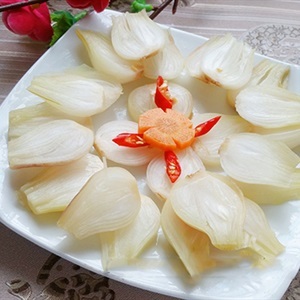 As much as a meat taste-countering ingredient, Vietnamese pickled onions also serve as a natural medicine for better digestion after high protein meals. 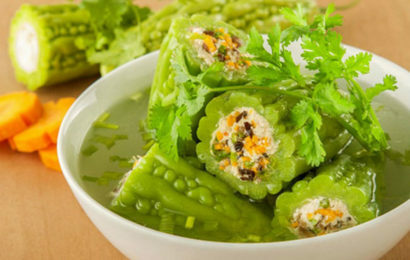 The typical aromatic, crispy and sour taste of pickled onions going with fat jellied meat and tasty sticky rice cake awakens the Tet atmosphere in every family dinner. Step 1: In a large pot, add onions, cover with boiling water and let cool. Peel and discard skins and water. Step 2: Rinse onions and return to pot. 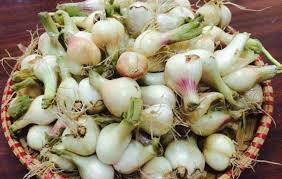 Sprinkle onions with pickling salt. 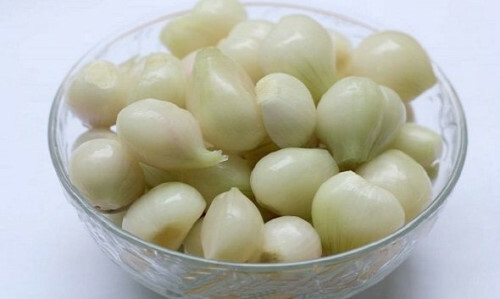 Cover onions again with boiling water and let stand for 24 hours. Step 3: Drain and reserve salted water. 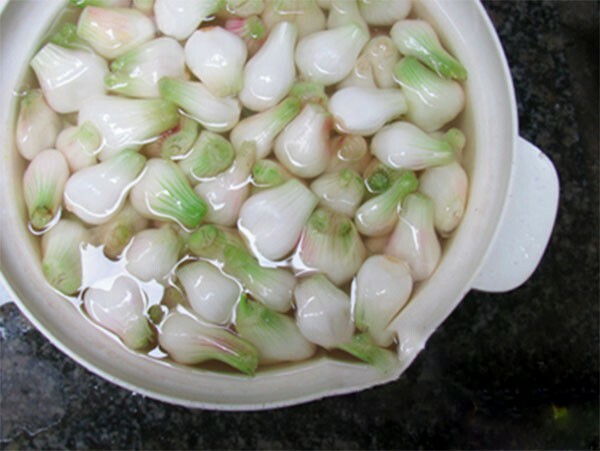 Rinse onions with cold water and return to cooking pot. 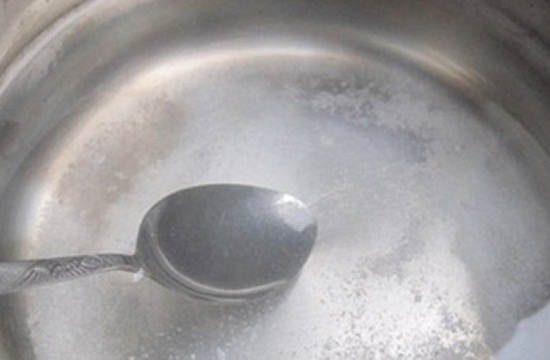 In a separate pot, bring reserved salted water to a boil. Pour over onions. Step 4: Repeat this same process for another 2 full days. At the beginning of the 4th day, drain and discard water. Rinse onions thoroughly. 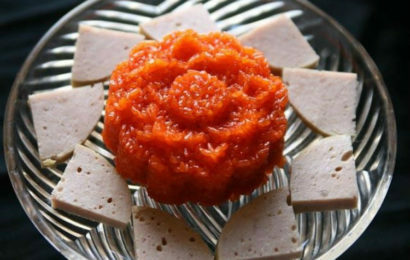 Step 5: In a cooking pot, add sugar, vinegar and spices that are wrapped in a cheese cloth and bring to boil; boil for 2 minutes. Pour this liquid over the onions. Cover and let sit for 24 hours. Step 6: Drain off liquid, save and reheat. Pour this liquid over the onions again. Repeat this process for a total of 3 days, which is now the 6th day. Step 7: On the 7th day, which is the last day, drain and reserve the liquid. Wash onions thoroughly. Reheat the reserved liquid. Prepare and sterilize jars. Step 8: Fill jars with onions and pour the hot liquid over the onions in the jars to within 1/4 inch of the top. Wipe tops of rims very clean. Place prepared lids on top and screw on screw lids just finger tight. Step 8: Place jars in a hot bath in a canner and boil for 5 minutes. Remove from bath and place on a towel. Cover with another towel to cool. 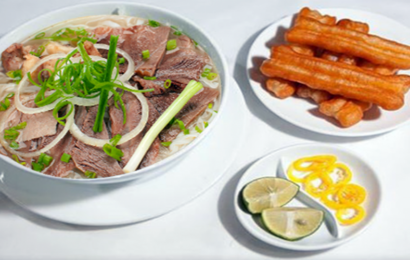 You can learn to cook Vietnamese Jellied pork ( thit dong) with us here. Step 9: Jars are sealed when the tops”pop” and are concave, (turned down.). 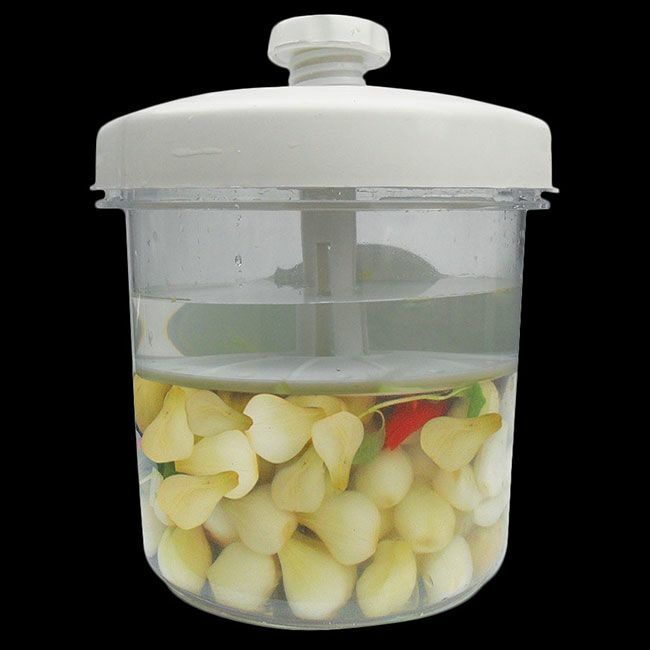 Wipe jars clean, lable and store in a cool, dry place.